Erik has already admitted to being a recovering Taco Bell addict. The thing that makes this journey the hardest, and most temps relapse are their cheap chicken flatbreads. The one he specifically misses the most is the chipotle chicken flatbread. 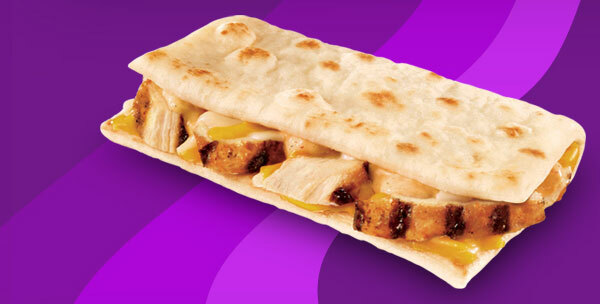 The chipotle chicken flatbread sandwiches were originally released in the summer of 2011 for a limited time, and have occasionally been re-released for limited runs since then. 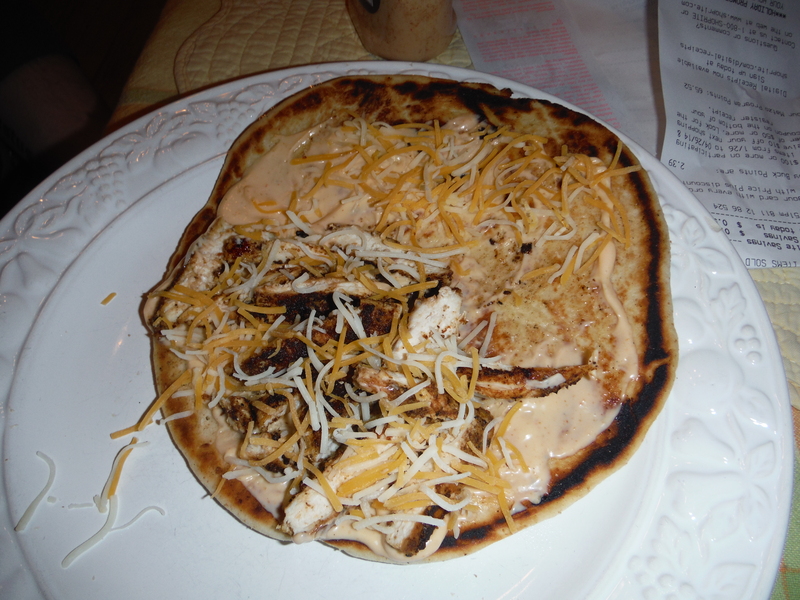 The sandwiches were made on square flatbreads with marinated grilled chicken, cheddar, pepper jack and mozzarella cheeses, and a chipotle sauce. A simple, but delicious concoction. This is a picture of the Taco Bell version, if you couldn’t tell. Luckily for Erik, and you dear reader, it’s absurdly easy to make your own Taco Bell chicken flatbread sandwiches at home. Honestly, the hardest part of this was trying to find the flatbreads. 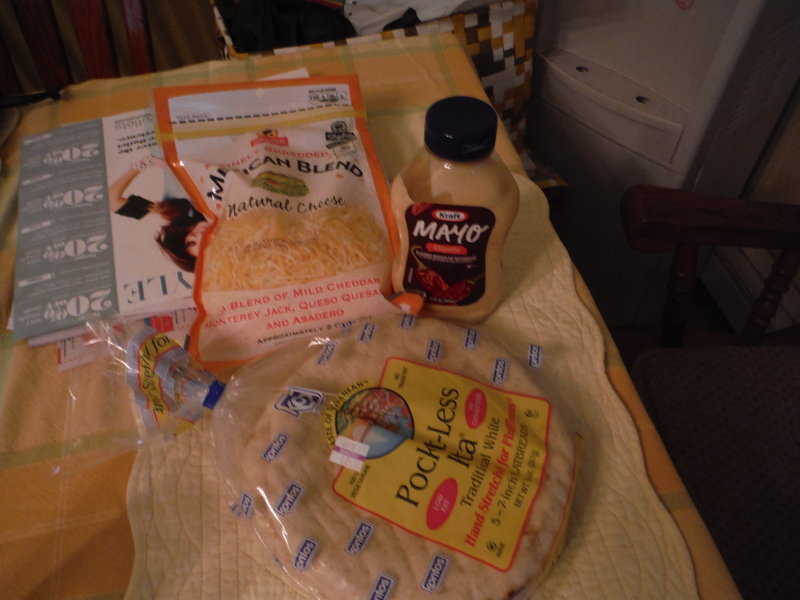 Despite flatbreads being a fairly popular food these days, either for use as sandwich wraps or like a mini pizza, there seemed to be a dearth of them in the grocery stores we went to. In lieu of rectangular flatbreads we ended up using pocket-less pitas. We did discover later that if you want flatbreads or pocket-less pitas you can go to an Indian market and find a ton of them. Once we had acquired all the ingredients it was easy-peasy. Chicken and spices not pictured, because they were on the counter. Note, we used mayo this time, but you’re best off using chipotle ranch. *If you want to make this process even faster, you could easily use Perdue’s southwest flavor chicken Shortcuts, or shredded chicken from a grocery rotisserie chicken (though this option won’t be as flavorful). Mix the spices together. 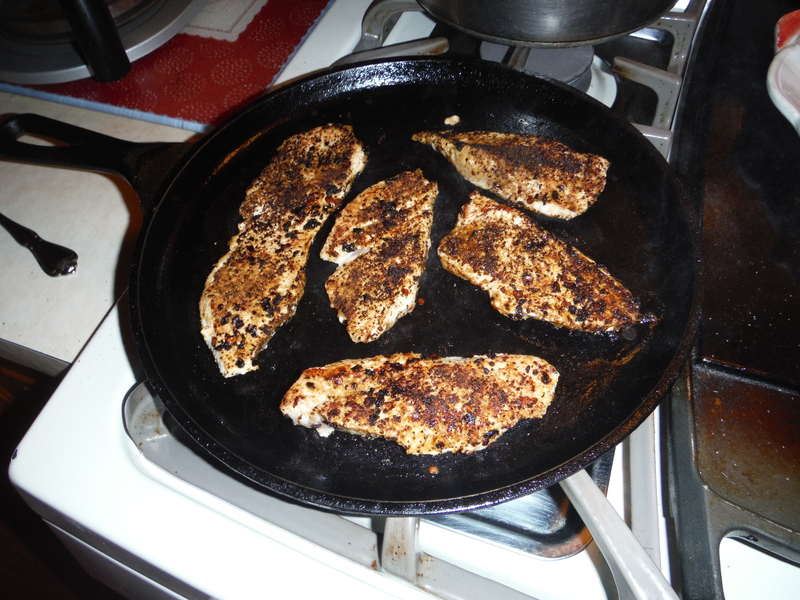 Sprinkle the chicken with the spice mix and cook on a skillet 10-15 minutes, or until cooked through. 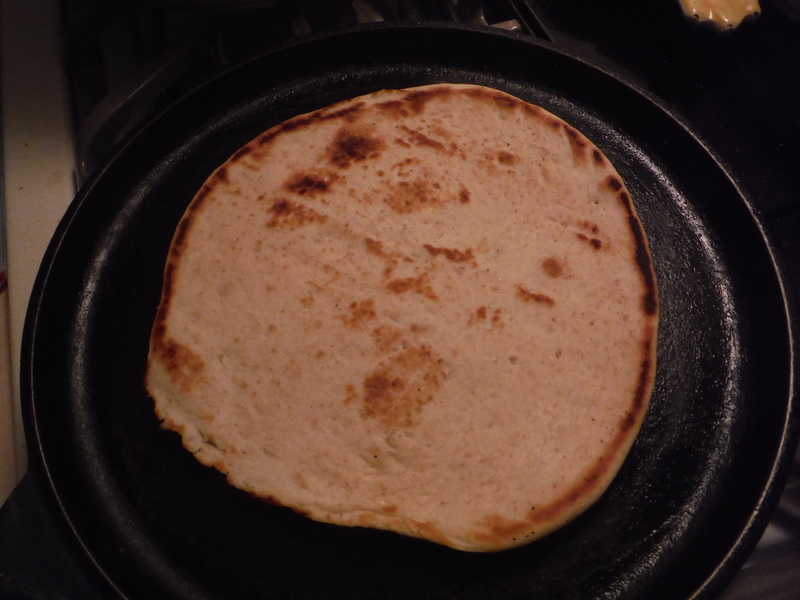 While the chicken is resting, warm the flatbreads on the skillet, about a minute per side. 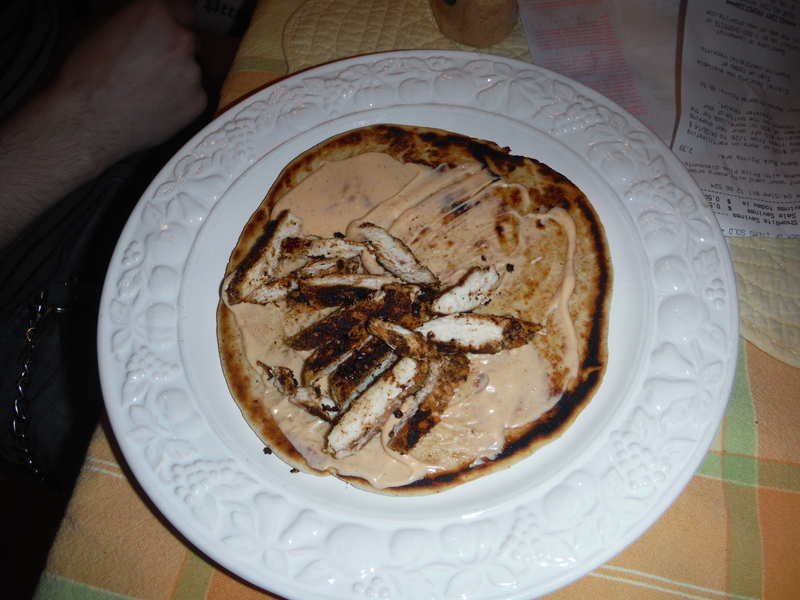 Cut the chicken into bite-size strips. 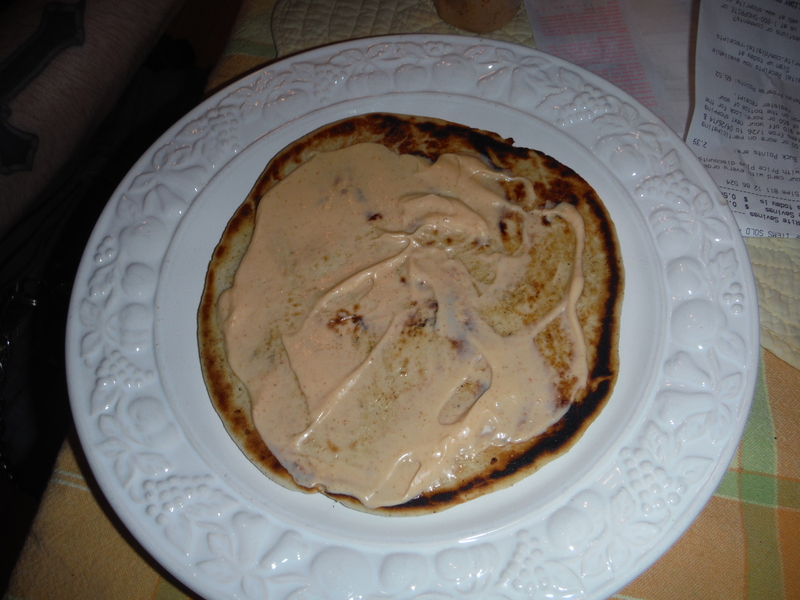 Pour about a tablespoon of chipotle ranch onto the flatbread. Top with the chicken and the cheese. We didn’t melt the cheese due to time constraints, but if you want your cheese nice and melty you can stick your flatbread under the broiler or in the toaster oven for a couple of minutes. Fold over the flatbread and eat! It’s that easy. That’s really all there is to it. And while we were trying to recreate a specific food item that already existed, you could easily take this basic idea and alter it to fit your own tastes. You could change up the spices you use on the chicken, use different cheeses, or add some tomato, sour cream, guacamole or the like. Best of all, the chicken flatbread you make at home is going to be better for you than the one you get at a fast food chain, since you control what ingredients go in it. 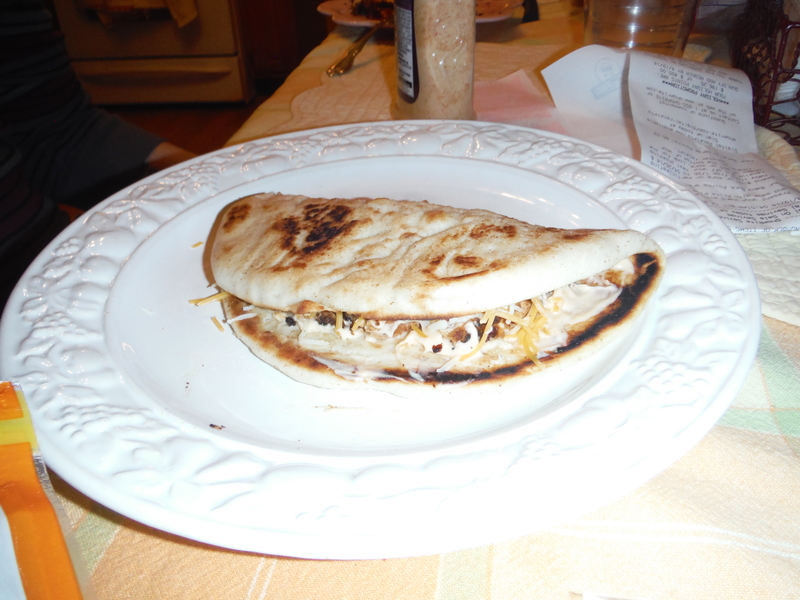 Posted on April 1, 2014, in We Can Do It Better and tagged blast from the past, cheese, chicken, chipotle, easy, recipes, sandwich, tacos and burritos, yummy. Bookmark the permalink. 3 Comments. I made these again the other day for lunch. Melting the cheese makes them PERFECT.